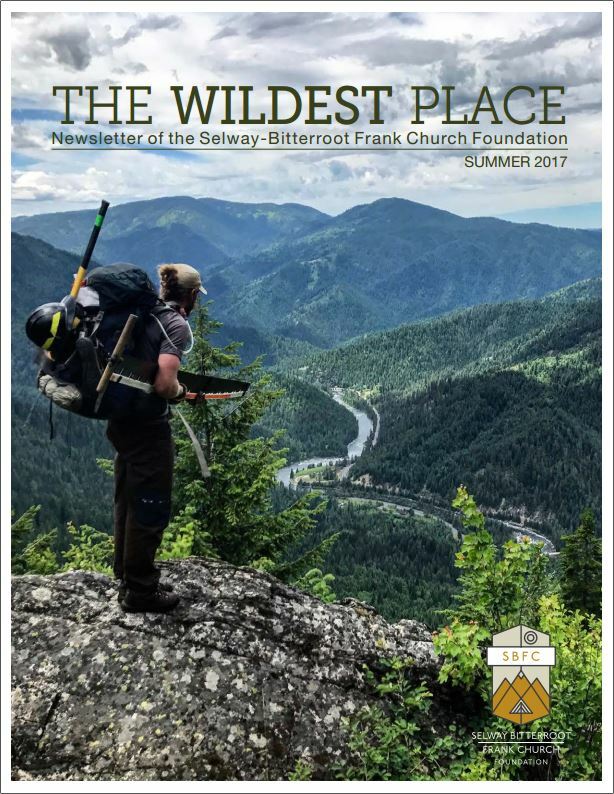 Thank you for your support of the Selway-Bitterroot Frank Church Foundation. I’ve attached the summer newsletter. We’ve had a terrific season thus far, made possible by our tremendously dedicated seasonal staff, our Wilderness Ranger Interns, and all of the volunteers who came from all points across the nation (as well as locally) to dedicate their vacation time to stewarding the lands we love. We’ve got a few more projects in September and October before we close out the season. Thank you for reading the newsletter and keeping current on the work we do. Enjoy.